Most of us make an assumption that this makes it much harder to standout, or that to standout you have to spend thousands of dollars. Our natural tendency is to pay for attention, because that is how we are programmed to think thanks to traditional advertising. For a minute, let’s imagine that the more noise there is on social media, the EASIER it is to standout – and the cheaper it can be to do so. The more noise there is, the more mediocrity we accept as being normal. If we set ourselves higher standards than everyone else, there is an opportunity to cut through the clutter. 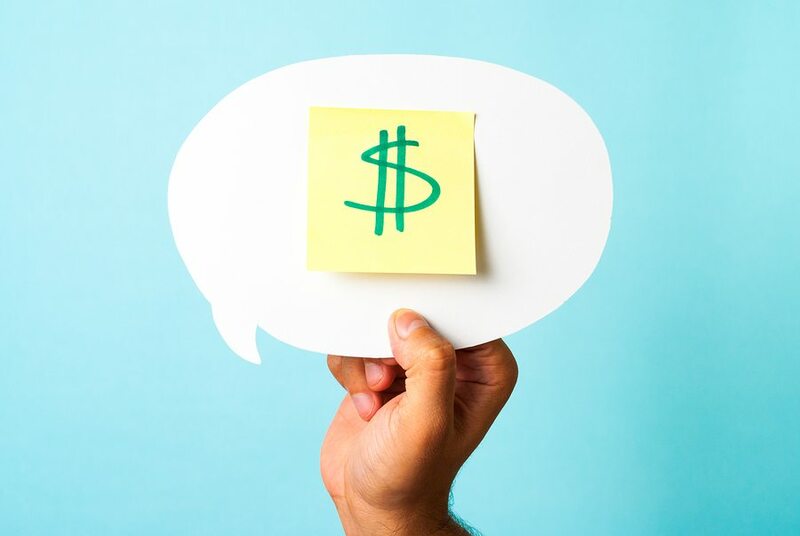 Lets look at 5 ways you can standout on social media that won’t break your budget. Brands who claim authority as the top social content producers often earn that title by taking risks that simultaneously resonate with their core values. 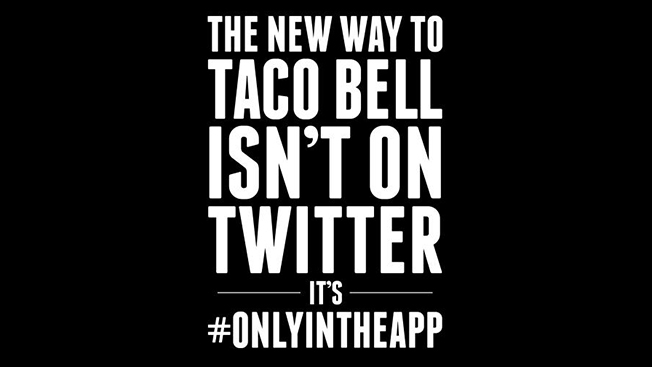 For instance, take Taco Bell’s social media blackout campaign. This campaign came unannounced and shocked fans when all social channels went dark alongside the launch of its new mobile app. This not only created a buzz for the brand, but also resulted in 75 percent of stores seeing mobile payments in the first 24 hours alone. The takeaway is that doing the unexpected can help bring excitement to your brand that will increase exposure, get users talking, and create real ROI. Take the time to weigh the risk vs. reward of a situation and develop a deep understanding of audience behavior so you can surprise fans with confidence and strategic direction. The best brands standout on social media by building strong connections with their fans through human qualities and relatable messaging. In today’s social age, there has been a shift in how companies connect with their fans. No longer is it just about strong calls to action, clear benefits, and quality service; instead, consumers now look for deeper connections and content that offers value through entertainment and education. To be competitive your brand must focus on developing a personality that reflects its core values and delivers content in a relatable and engaging voice. 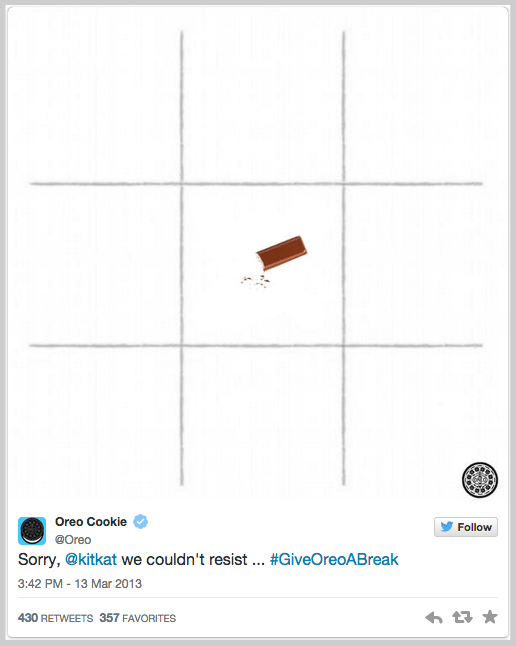 The key is to make social fun – for you and for your audience. 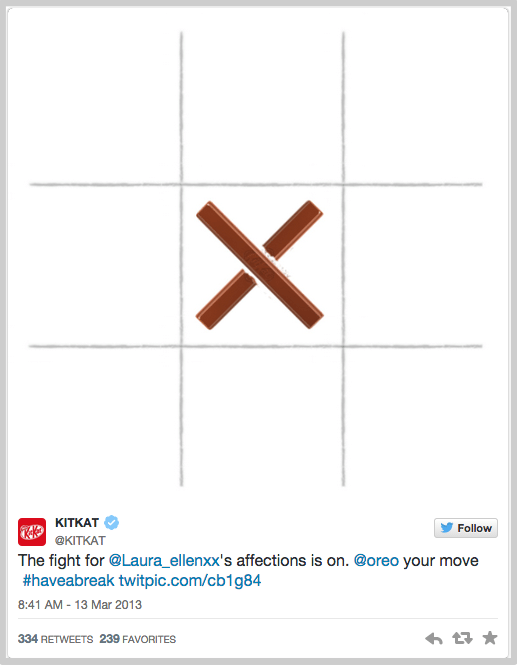 Here is an example of a back and forth on Twitter between Kit Kat and Oreo. Another way to standout on social media is to let your customers define your brand for you. Identify why customers use your brand today and analyze similar brands in your industry. Ask your fans to share stories about your products or service to get a real-world understanding of your value. Leverage user-generated content to build strong connections and develop brand advocacy. Encourage customers to share their ideas, and don’t be afraid to be direct when asking about their expectations. Communication is key for developing an engaging brand that is built for your audience, by your audience. 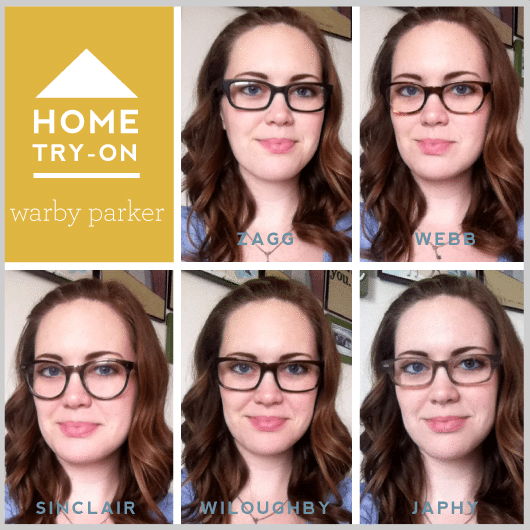 Warby Parker embrace this concept below. Content is more than just written articles and blog posts – it is an all-encompassing mix of website copy, blogs, white papers, webinars, pictures, infographics, videos, advertisements, and almost any material you create for audience engagement. To be seen as brand to watch, and standout on social media, you must make the most of a variety of content mediums that generate high engagement across different channels. Test your delivery, calls to action, and value proposition across different content mediums and channels to identify trends in engagement. Leverage the data you collect to shape your content strategy and bring character to your social presence. Bring social elements to all of your digital content through your website, blog, and sales. By keeping your social presence top of mind you can keep your audience more engaged. Do this by embedding social elements into your content, including social links on your site, and encouraging fans to engage on different mediums. Each social space should maintain a unique personality but continue a consistent theme and brand message that elevates your overall user experience. The social landscape is filled with competitors of all shapes and sizes looking for a piece of the action. To earn your position as a brand that demands authority and generates quality engagement, align your voice and core values to resonate with what drew your customers to you in the first place. Create an experience for your customers, not just more noise for the already crowded social channels. This mindset and a little creativity will help you standout on social media. Guest author: Chris Moreno is the Director of Social Media at Zog Media.